Laptop portfolio features a clamshell design that separates your laptop from accessories for clear x-ray scanning while passing through airport security. Laptop compartment holds most 17" laptops. Zip-down organizer provides dedicated sections for glasses, camera and cell phone as well as business card slots, pen loops and a key fob. 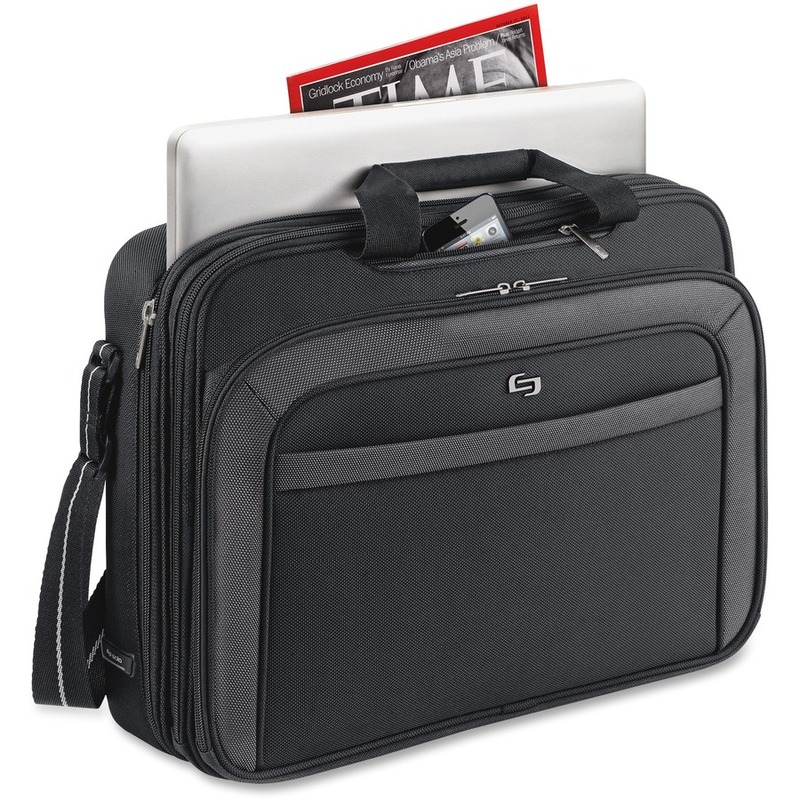 Front compartment features a file section to keep documents safe and organized. Zippered pockets on front of case offer an additional compartment for items you need while on the go. Easily carry portfolio with adjustable shoulder strap and carry handles.